"the new Nissan Skyline GT-R is ""The most eagerly awaited supercar launch of the century"" - an audacious claim when the century is barely out of nappies. What, you may wonder, is getting them so worked up? " 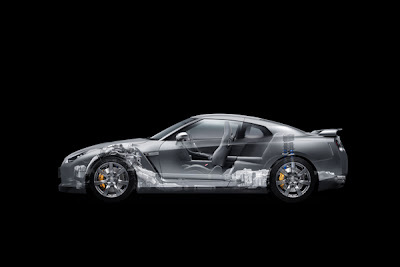 "Engines in earlier GT-Rs could be tuned to produce 600bhp but this one will be limited to slightly under 500bhp. Even so, it will be capable of 200mph, 0-60mph in less than four seconds and will cost tens of thousands less than a Porsche 911. Launch of the century, then? Well, certainly of the month." Perfect reason not to believe everything you read. Just because someone wrote it, doesn't make it true. Just because it got published in a magazine, doesn't make it true. Remember that in life. Take all the magazine information with a grain of salt.